A project to tackle loan sharks is giving residents in County Durham the chance to win £100 worth of shopping vouchers. Durham County Council’s trading standards team supports the Stop Loan Sharks scheme to raise awareness of the dangers of illegal money lenders by prosecuting them and supporting victims. As part of the project, an online quiz has been launched with one lucky person set to scoop £100 of shopping vouchers, which are being provided by organisers the National Illegal Money Lending Team. Two runners up will each receive a goody bag. The council works with the National Illegal Money Lending Team in a bid to crackdown on loan sharks operating within County Durham. A number of operations have taken place across the county to tackle loan sharks and residents are being urged to be on their guard when borrowing money and not fall prey to criminals. 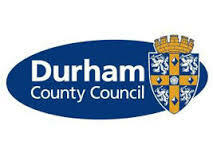 Joanne Waller, head of environmental health and consumer protection at Durham County Council, said: “We are working hard to tackle the problem of illegal loan sharks operating in the county. To contact the Illegal Money Lending Team call 0300 555 2222 or email reportaloanshark@stoploansharks.gov.uk. For more information about the Stop Loan Sharks project, visit www.facebook.com/StopLoanSharksProject. For general advice call the Citizen’s Advice Consumer Helpline on 03454 040506.